After overhauling indirect taxes, the government on Wednesday formed a task force to draft a new direct tax law to replace the existing Income Tax Act, which has been in force since 1961. Eight years after he first helped draft a new direct tax code for India, top taxman Arbind Modi has been asked to do the task again to meet the contemporary economic needs of the country. Modi, Member, Central Board of Direct Taxes (CBDT), will steer a six-member panel on the issue, an official press statement said. Arvind Subramanian, chief economic advisor will be a permanent special invitee on the panel. The move, which is aimed to make direct taxes – income and corporate – simple, comes ahead of BJP-led government’s last full Budget. It comes within months of the launch of Goods and Services Tax (GST) that overhauled the indirect tax regime by unifying more than a dozen central and state levies, including excise duty, service tax and VAT. 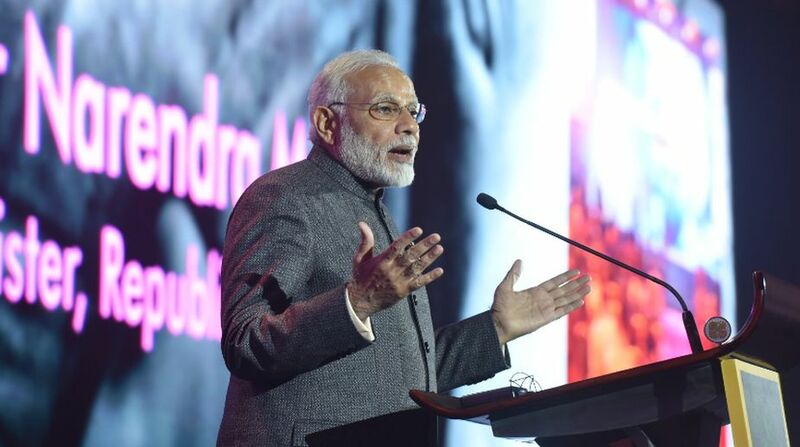 Prime Minister Narendra Modi, during the annual conference of tax officers in September, had observed that the Income-tax Act, 1961 was drafted more than 50 years ago and it needs to be redrafted. “Accordingly, in order to review the Act and to draft a new direct tax law in consonance with economic needs of the country, the Government has constituted a task force,” a finance ministry statement said. Other members of the task force include Girish Ahuja (chartered accountant), Rajiv Memani (Chairman and Regional Managing Partner of EY), Mukesh Patel (Practicing Tax Advocate), Mansi Kedia (Consultant, ICRIER) and G C Srivastava (retired IRS and Advocate). The task force, which will submit its report to the government within six months, would draft direct tax laws in line with tax laws prevalent in other countries, incorporating international best practices, and keeping in mind the economic needs of the country. Former finance minister P Chidambaram had in 2009 proposed the original direct taxes code to replace the cumbersome IT law with a clean new law and to embody the principle of keeping taxes low and removing exemptions. Modi had assisted the former finance minister in preparing the code. However, the bill, that underwent many changes subsequently was not passed by Parliament. The Direct Taxes Code (DTC) Bill, 2010, which was introduced in Parliament in 2010, lapsed with the dissolution of the 15th Lok Sabha. The Bill had proposed annual I-T exemption limit at Rs 2 lakh, and levying 10 per cent tax on income between Rs 2 lakh and Rs 5 lakh, 20 per cent on Rs 5-10 lakh and 30 per cent above Rs 10 lakh. For domestic companies, it suggested tax rate of 30 per cent of business income. The NDA government, since coming to power in 2014, has already implemented general anti-avoidance rules GAAR. In 2016, Finance Minister Arun Jaitley also promised to lower corporate tax rate to 25 per cent in 5 years. Currently, income up to Rs 2.5 lakh per annum is exempt from tax for individuals. Terming the move as an interesting development, Sanjay Sanghvi, Partner, Khaitan & Co, said, “While the stated objective of this proposal is laudable, the present Income Tax Law in the country already contains most of the international best practices such as GAAR, transfer pricing / CBCR, BEPS and so on”. “It would be helpful if the new tax law emphasises more reasonable and fair administration of the tax laws to address the concerns of uncertainties and needless tax litigations. It is heartening to note that the new law will be drafted keeping in view the economic needs of the country,” he said. Naveen Wadhwa, DGM, Taxmann.com said most of provisions of the current Income-tax law are now settled and clear. “Instead of changing the entire law, government should consider modifying the existing law so that the disputable provisions and litigations could be minimised,” he said. Direct Taxes Code advocated the removal of profit-linked deductions, which have already been announced under Income-tax Act. “So, it would not be a wise decision to unsettle the settled law, especially in present environment where entities are endeavouring their best to implement India’s biggest tax reform, GST in its true spirit,” he said. Abhay Sharma, Partner, Shardul Amarchand Mangaldas, said: “A simpler code with fewer tax breaks and lower tax rates is, in theory, a good idea. The jury is, however, out on whether we need a new code or need to fine-tuning the existing law”. “One hopes that in a hurry to push its reforms agenda, the government does not end up discarding a law that is largely settled and enriched by years of jurisprudence and replace it by a half baked tax code,” he said.